This year's theme is ågradesi which means to appreciate or value. It was July 21, 1944 when the US forces retook our precious island of Guam from the Japanese after weeks of fierce fighting in the Second Battle of Guam. The Japanese captured Guam from the U.S. in the 1941 First Battle of Guam during the Pacific campaign of World War II. Let's show our appreciation and give thanks to all those who fought or lost their lives defending our freedom. You can show your appreciation and Chamorro pride by purchasing one of our beautifully designed I AM CHAMORRO t-shirts. Wear it proudly to your local Liberation Day celebration. You'll be glad you did! Article submitted by Sandy Uslander to the Guam Pacific Daily News. The "I Am Chamorro" documentary started out in 2013 as the most significant private project of its kind. More than a year after its completion, it continues to share the unique story of the Chamorro people to the world. 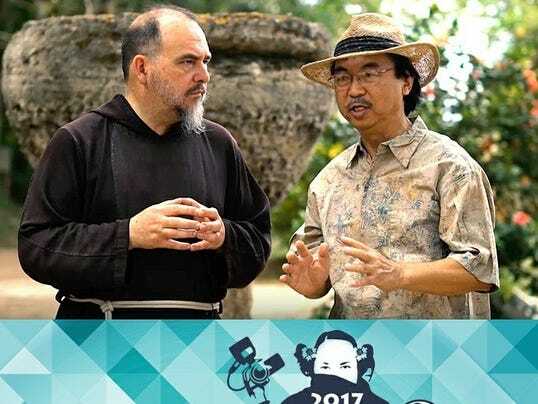 Last week, "I Am Chamorro" won the special mention in the cultural legacy category at the DisOrient Asian American Film Festival of Oregon. Manhita Chamorro, the organization formed to create "I Am Chamorro," submitted the documentary as part of their ongoing effort to reach larger audiences. Among more than 100 applicants, the film was one of 36 selected to premiere on April 23. As a result, the documentary was validated as a notable contribution to the festival. 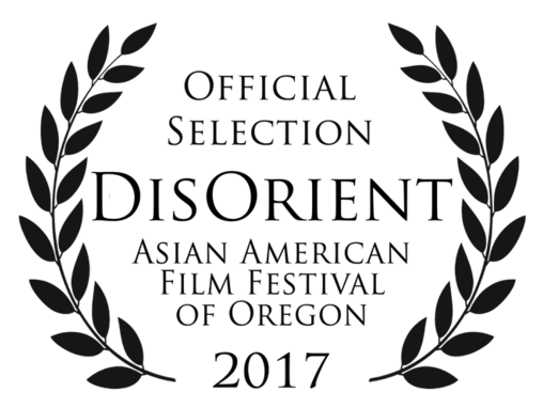 The DisOrient Film Festival is in its 12th year as a volunteer-run film festival committed to presenting honest portrayals of the diversity of the Asian and Pacific Islander American experience, according to the DisOrient website. The judges and audience of the DisOrient Film Festival were generally unfamiliar with the Chamorro culture. The public was able to learn more through a question and answer session following the premiere. Associate director of the festival, Pamela Quan told the "I Am Chamorro" crew that she watched the full-length movie four times and was brought to tears each time. On April 23, Pale’ Eric Forbes and members of Manhita Chamorro were called to the stage to accept the award. Pale’ Eric spoke for the film, noting that "I Am Chamorro" is a film by the Chamorro people and for the Chamorro people, supported by those both on the islands and on the U.S. Mainland. Since the award, an Oregon public access station has requested to show the film for one month this year. Other public broadcasts also are anticipated. This brings the film into the homes of hundreds, even thousands, who would otherwise not be exposed to the Chamorro culture. Mes Chamorro (Chamorro Month) is celebrated annually in the month of March. Chamorros around the globe proudly celebrate Guam's culture, heritage and people. And, if you want to know about your island, it's people, traditions and history - purchase our I AM CHAMORRO DVD OR BLU RAY too. DVD is $20/BluRay $30. Help us to spread the word. Tell your family and friends about our sale so everyone can wear their I AM CHAMORRO t-shirt WITH PRIDE pride during the month long celebration and throughout the year. Our sale begins March 1st and ends on March 31st. Biba Mes Chamorro. Biba Guam. Take advantage of our t-shirt sale while supplies last. All I AM CHAMORRO t-shirts are 50% off their regular price now through January 1, 2017 so get your orders in asap. March is Guam History and Chamorro Heritage Month or simply Mes Chamorro. It is the time of year when the Guam community celebrates and reflects on the island’s native culture. 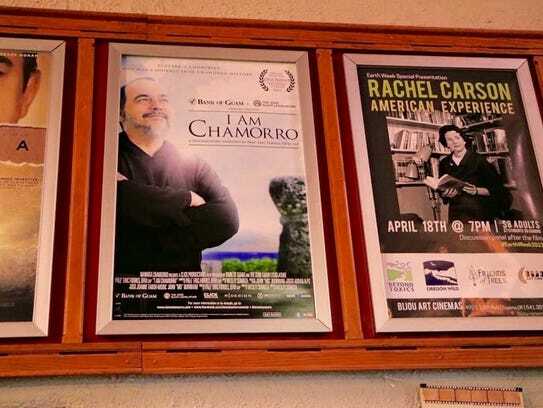 Why don't you celebrate Mes Chamorro by purchasing your very own copy of the I AM CHAMORRO documentary. Without a doubt, you will learn more about Chamorro history, culture and tradition in this 100 minute feature film. Mes Chamorro is all about celebrating and sharing Guam’s unique culture, heritage and history. Allow Pale` Eric Forbes to share his 33 years of research with you. Visit iamchamorro.com to purchase your copy today!